George R. Gorsuch (1869-1943), son of William Gorsuch (1834-1905) and Caroline Frances [Hunt] Gorsuch (1846-? ), was born on January 16, 1869 in Long Green in Baltimore County, Maryland. He entered upon his commercial career at an early age, associating with his father in the conduct of a mercantile store at Long Green, Maryland. At the age of 19, he came to Baltimore, and for a period of twelve years was employed as general bookkeeper and discount clerk at the Howard Bank. For three years he was employed as a clerk in the freight department of the Pennsylvania Railroad. Later he became engaged in the insurance business in which he was quite successful. He organized the firm of Gorsuch, Scott and Geiger with which he was associated at the time of his death. He was at one time President of the American Trust Company which was merged with the Union Trust Company. In 1892, he married Miss Lillian Pearson Shoemaker, a daughter of John H. and Katherine Shoemaker of Philadelphia, Pennsylvania. The union was blessed with five children, four daughters and one son. He was raised in Doric Lodge, No. 124 on November 24, 1903, and serves as Worshipful Master in 1918; exalted in Baltimore Royal Arch Chapter, No. 40, June 11, 1912; Greeted in Concordia Council, No. 1, R. & S. M., April 18, 1919; Knighted in Beauseant Commandery, No. 8 November 6, 1914, and Ennobled in Boumi Temple, A. A. O. N. M. S., April 30, 1919. He was a member of Chesapeake Consistory, Ancient and Accepted Scottish Rite, having receive the 32 Degree on December 1, 1920, and was invested with the rank and decoration of Knight Commander Court of Honor on October 21, 1931. He was a Past Patron of Concordia Chapter, No. 5, Order of the Easter Star, a member of the Tall Cedars of Lebanon, Baltimore Forest, No. 45; Yedz Grotto, M. O. V. P. E. R. and Masonic Veteran Association of Baltimore. On November 16, 1918, he was appointed a Grand Inspector for the City of Baltimore for the Grand Lodge of A. F. & A. M. of Maryland, and served in that capacity until his election as Deputy Grand Master on November 18, 1925. He was annually re-elected Deputy Grand Master, and upon the death of Warrant S. Seipp, April 11, 1930, became Grand Master. 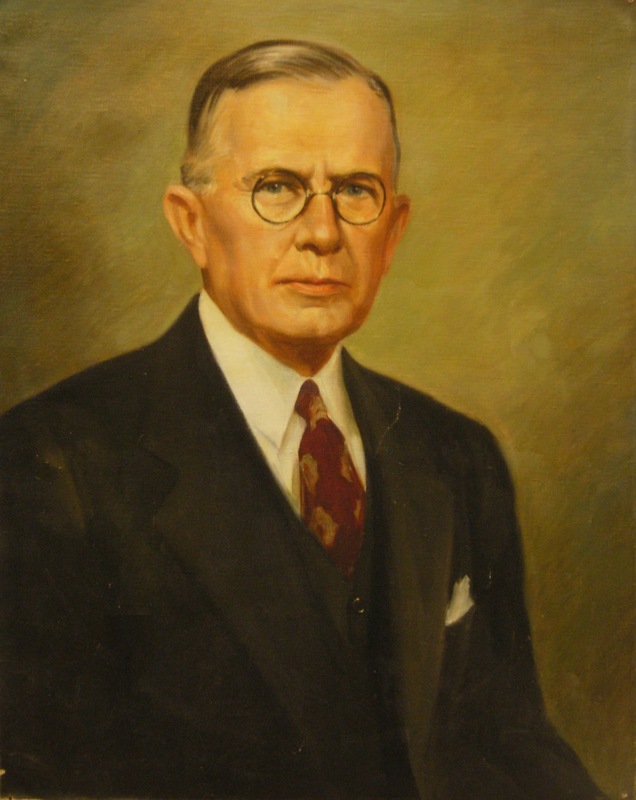 He was elected Most Worshipful Grand Master November 19, 1930, and re-elected November 18, 1931, retiring at the end of his second elective term with the esteem and admiration of all Masons. 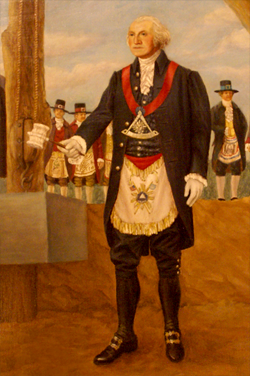 He presided at the breaking of ground for the erection of the Scottish Rite Temple of the Baltimore Valley and the Maryland Masonic Homes at Bonnie Blink in Cockeysville, Maryland. He officiated at the cornerstone layi8ng of Reid Hall, Washington College, Chestertown, June 7, 1930; the Library Building, University of Maryland, College Park, June 9, 1930; the Scottish Rite Temple, Baltimore, October 18, 1930; the United States Post Office Building, Baltimore, January 22, 1931, and the Maryland Masonic Homes at Bonnie Blink, Cockeysville, October 10, 1931. George R. Gorsuch, died on July 9, 1943, at his home, 1704 North Carline Street, Baltimore, Maryland, after a long illness. His remains were conveyed to the Masonic Temple at 225th North Charles Street on Sunday, July 11, and laid in state until Monday, July 12, when the funeral service was conducted by the Grand Lodge of A. F. & A. M. of Maryland. Rev. Edgar C. Powers, D. D., R. W. Grand Chaplin, and the Rev. Norman Scribner, Pastor of the North Avenue Methodist Church of which George Gorsuch was a member, officiated. After the conclusion of the religious ceremonies, his remains were escorted to Druid Ridge Cemetery by the Grand Lodge of Maryland and the officers and Past Masters of Doric Lodge, No. 124. His final rites were performed by Most Worshipful Grand Master Harry L. Robinson, assisted by the Grand Lodge Officers, the Past Masters of Doric Lodge acting as Pall Bearers.